Date: Apr 4 2019, 3 p.m. - 4:30 p.m. Calling all Army Volunteers! 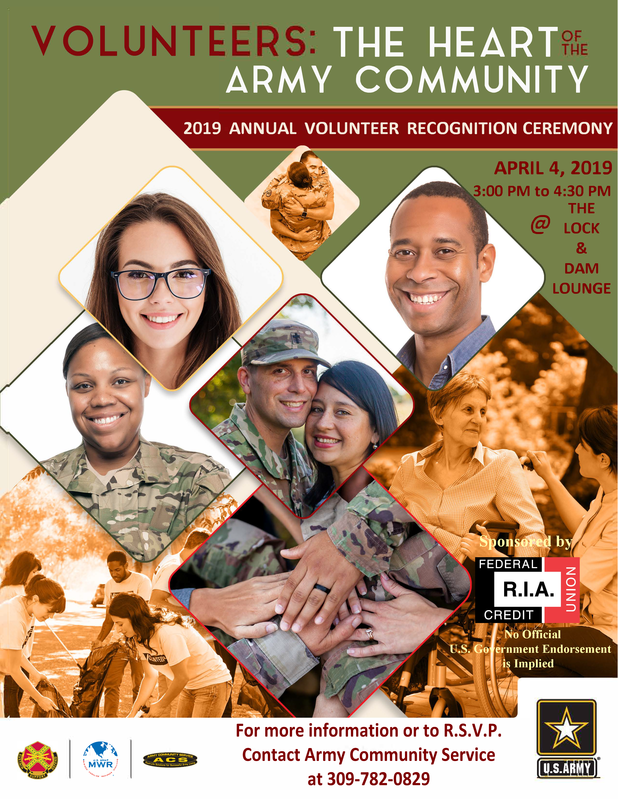 Come be recognized for all the hard work and hours you've put in this last year volunteering for Army programs. Join us in the Lock & Dam Lounge on April 4th at 3 p.m. and enjoy food and drink courtesy of our sponsor, Rock Island Arsenal Federal Credit Union.